The temperatures are hitting all-time lows this winter, and if your property uses gas central heating then your boiler will have been working overtime to ensure your home stays warm this season. For the unlucky amongst us, your condensate pipe may have already succumbed to the cold and stopped your heating system from functioning fully – this is the moment you are left scrambling to find supplementary heating as you are told you’re facing a two day wait for a boiler service and repair. Dimplex portable heating is ideal in this situation, seeing you through those times of need until your main heating system is up and running. 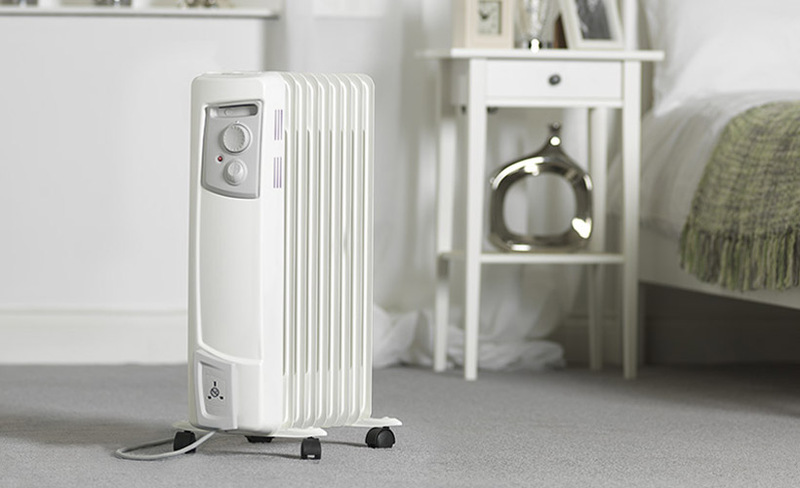 The Dimplex range of highly portable electric radiators come in a choice of either Oil-filled or Oil-free models. They use a mixture of radiant and convected heat to provide supplementary heating for any room in your home, with the Oil-free variants offering more rapid heat up. With a range of sizes and control options, you can pick the model that best suits your needs, proving this technology to be a truly versatile form of supplementary heating. Some models even feature fully programmable 24-hour timers, so you can set precisely when you want the heater to be in operation – saving you from wasting energy at times in the day when you feel it is not necessary, and ensuring your home is warm exactly when you need it to be. Of course, you can use portable radiators for much more than a temporary heating solution - they are also great for taking the chill off a room at any time of the year, helping maintain comfort in your home. You can use them in conjunction with your central heating, or in rooms where there is no heating – the various sizes and models offered by Dimplex can accommodate all needs, whether you need something small like the Eco Chico, or something more substantial like the EvoRad. Don’t be left panicking in a situation when your central heating fails you – being prepared with supplementary heating can not only provide you with extra warmth throughout the year, but can also be a saviour should you require a short-term heating fix whilst waiting for your main system to be repaired.